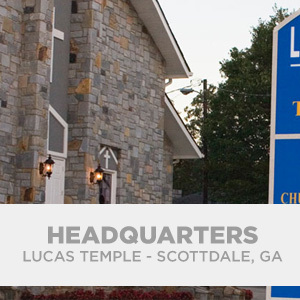 Burke County True Church History | True Church of God in Christ, Inc. In February of 1959, Sister Freddie Scott had a desire to live for the Lord. She ventured to Savannah, Ga. and came under the leadership of Elder Green Bryant Sr. He went to Girard for the first worship service on Sister Scott’s porch. This was the beginning of the Burke County True Church of God in Christ. An old house was obtained for worship services from Brother Levy Dixon. The Lord’s financial blessings enabled them to get the first of two tents. The first tent was placed on the land owned by Mr. Ed Dixon. Through continuous prayers, supplications, and numerous sermons, in 1960, the Lord blessed several souls to take a stand for the Lord. These included Brother James Scott, Mother Carrie Williams, Sister Alberta Clark, Georgia Clark, Mary Heath, Velma Holmes, Rena Scott and Mattie Johnson. During the latter part of 1960, the Lord sent a windstorm that destroyed the first tent. The saints moved with haste and purchased another tent. They also purchased one acre of land for $100.00 from Mr. Lewis Frazier. By the end of 1962, Elder Bryant was the pastor of Savannah , Springfield , and Girard churches. Once again the Lord intervened and through the fierceness of the weather, destroyed the second tent. The saints kept their faith in God and began worship services in various homes. Through attending these services, Sister Louise Holmes, became a member. Shortly after, Sister Cooper gave them permission to use her church for worship services. In 1964, Bishop W.L. Lucas, Sr. decreased the workload of Elder Green Bryant, Sr. In that year Elder B.J. Lawson was appointed to assist Elder Bryant, Sr. After accepting the obligations and responsibilities for leadership, Elder B.J. Lawson arose and went to Girard every first and third Sundays. He was aided greatly by Minister Emmitt Robinson, Sr. and Sister Robinson. Elder Lawson had the land cleared and leveled by Mr. Jimmy Dixon for $145.00. In early 1966, Brother Nunn and Brother Joseph Lucas assisted in digging the footing for the foundation of the building. In addition, Elders Henderson, Robinson, Shaw, Jeffries, Minister Whitehead, Deacon Parlor and Brother Mark Lucas showed their love as they laid blocks for the building. Elder Lawson officially became the Burke County True Church of God in Christ pastor after the 1966 General Assembly. Toiling both naturally and spiritually, Elder Lawson and others completed the building in 1969. In 1970, Elder Lawson, being supported by Elder Jeffries, Deacon Holmes and Deacon Leroy Scott, were able to add a dining area to the church. Days later, the church bought another acre of land, extended the building, and purchased new pews. During the early 70s, the Burke County True Church of God in Christ branched out in Augusta and started a mission on Old Savannah Road . In 1979, God blessed us to be heard by radio on WWGA FM at 5:00 PM.-6:00 PM for eight years and WBRO and WKZK AM stations for a number of years. We now have a telecast on Comcast Channel 104 every Sunday at 5:30PM-6:00PM and every Tuesday at 9:30PM-10:00PM in Augusta Georgia. Many people are being blessed to hear the word of God through these various broadcasts. 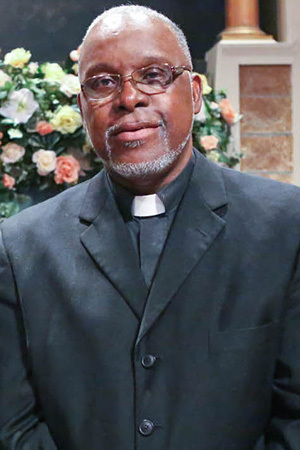 Due to the lost of our great Bishop B. J. Lawson, Elder Marvin Jones was appointed the pastor in February, 2007 and he is the General Superintendent of the True Church. He was assisted by Minister Grover Jones, Jr. 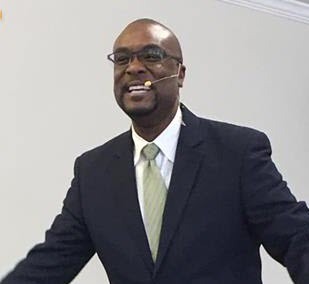 In March of 2014, Bishop Oprie Jeffries appointed Elder Emmitt Robinson, Jr as the pastor of Augusta and Burke County True Church. He also appointed Minister Shedrick Pullin to be the Sunday School Teacher. Presently, we are focusing on getting the Gospel out across the world and living a life so everyone can see that we are the “TRUE CHURCH OF GOD IN CHRIST”.